My Cruises have carefully selected the best Asia Cruises to package together with our exclusive Bonus extras! When you book your cruise holiday with us you will enjoy BONUS NIGHTS to explore Asia and more! 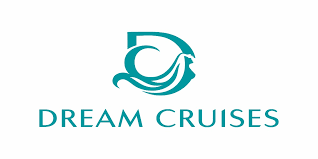 We have different types of cruise deals to suit every passenger and budget. Cruise Asia and discover a continent packed full of fascinating culture and traditions. Enjoy the laid back lifestyle on the beaches of Indonesia, be astounded by the mix of traditional and colonial architecture in Malaysia, or be revived by the hustle and bustle of the continent’s technological hubs. Asian cruise deals can help you to see it all. Enjoy a hassle-free travel experience in luxury cruise liner accommodation. Why spend time waiting for connecting flights when you can enjoy fabulous dining options aboard the ship as it transports you to the next destination. My Cruises offers a carefully chosen range of Asian cruise itineraries packaged together into our exclusive deals. The hard work has been done—all you have to do is pick which destinations to go to! Why book an Asian cruise deal? There are thousands of Asian destinations on everyone’s wishlist. Whether you want to shop ’till you drop in Hong Kong’s tax-free mega-malls, surf the epic Bali waves, or explore the ancient temples of Thailand, this vibrant continent has something for everyone. Usually choosing between a relaxing island getaway, or a bustling city break can be tough, but with a cruise holiday in Asia you can do it all! Go from the skyscrapers and fine dining of Singapore one day to the deserted beaches of Indonesia the next! Cruising is the most convenient way to visit remote Asian destinations such as East Timor, Komodo Island, and China’s Hainan Island (said to be the Hawaii of the East!). My Cruises have scoured the cruising world to bring you the very best Asian cruise holidays, at the best prices! Our unbeatable cruise deals offer complete holiday packages with exclusive bonus added value! We look after everything for you, from flights, transfers, pre-cruise accommodation and even stopovers before or after your cruise!